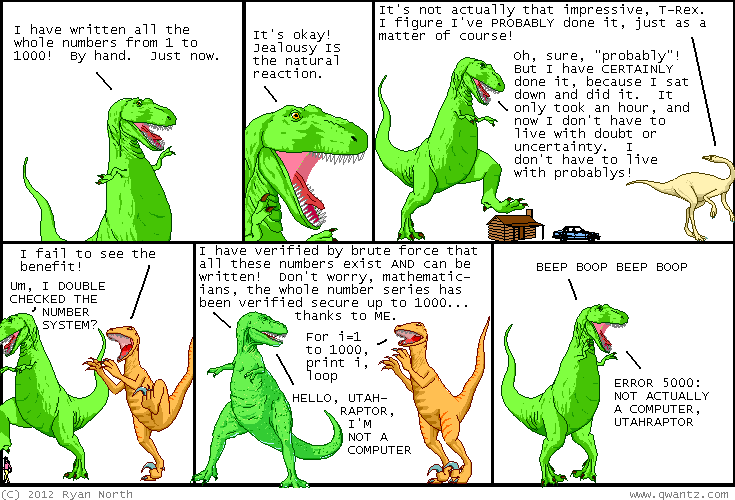 Dinosaur Comics - January 31st, 2012 - awesome fun times! –Yes indeed! I have decided to become AUTODIDACTIC. January 31st, 2012: The Adventure Time comic I'm writing comes out on February 8th! When is it time to get excited? NOW, NOW IS A GOOD CHOICE. One year ago today: a thank you at this point would be unexpected and startling! according to my research, you guys domesticated the horse and invented the plough. nice! we still use those!